Convert DVD to QuickTime MOV? 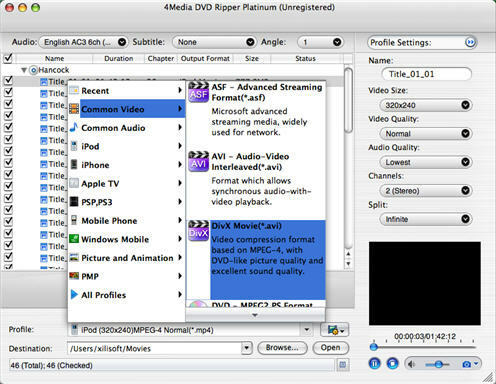 For Mac users, you can try 4Media DVD Converter which can convert DVDs on Mac to most popular videos and audios. This guide will show you how to convert movie DVDs to MOV on a Mac computer. Download and install the DVD Converter on your Mac, then let's start the conversion. 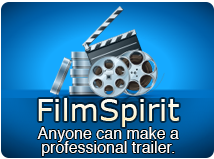 Select the MOV - QuickTime(*.mov) profile in "Common Video" classification in the "Profile" drop-down list. As you can see, the DVD Converter gives you the options to change the default DVD audio, subtitle, and angle for output format. Furthermore, in right profile setting panel you can set output video size, video quality, and channels to get specialized MOV video. As 4Media DVD to Video for Mac provides high conversion speed, you will see the conversion has been finished in just a few minutes. After conversion, you can just click the "Open" button to check the target MOV file conveniently.